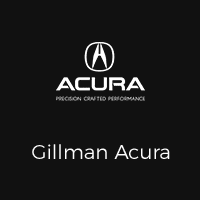 Gillman Acura appreciates that buying or leasing an automobile in Houston, TX is not always easy. Especially, if you have low credit. Is it time to buy a new vehicle? Are you trying to figure out how to improve your credit ranking for a vehicle loan? You may already know that your auto loan rate is determined by your credit history, ranking and status. Credit repair requires some work. You will definitely want to keep track of your score several months in advance before your car financing application. Fixing a credit score overnight is impossible. Given enough time, however, one can most certainly make great increases to a decent score. Let’s learn how this can help. Banks usually take FICO credit and history into consideration when making their decision. Auto lenders identify the a borrower’s loan or lease eligibility by auditing his or her credit score and history. Despite having all this detail, the procedure of credit scoring can still be murky. Because of the complexity of it all, lenders typically use several industry-specific factors to determine if you’re a low-risk borrower. Don’t forget, your credit score is an important indicating factor that identifies whether you’re capable of paying your regular installments. This means that you should learn how to repair your credit prior to applying for automobile financing. Car and truck buyers with ideal credit may easily qualify for car, truck, and SUV loans with low interest rates or financing at a zero percent rate. A good profile also gives you a circumstance to negotiate while applying for your car financing. Contrarily, those with poor credit, however, are most often ineligible for zero percent financing, small down-pay loans, and low-interest finance offers. In short, you will typically overpay when you have a bad credit score. Check for red-flag items on your report. If possible, fix them. Every time you don’t make a bill payment, your credit history gets a negative hit. By avoiding it, you can improve your credit score. Use a calendar to manage upcoming bill payments. Be wary of card balance transfers. If possible, try to clear any existing debt before you apply for an auto loan. Don’t apply for other kinds of credit. Multiple credit applications in a relatively short period of time negatively impact your score and lower it. Avoid these types of actions if you’re improving a credit ranking. Auto shopping can be an exciting time and involves more than a few steps to be most successful. For the smoothest financing experience, fix your less than desirable credit first. A higher score will help you get a better auto financing deal with more room to negotiate. Increasing your credit profile won’t happen quickly; so, give yourself enough time and track your credit for several months in advance taking a step forward with buying a new car, truck, or SUV .